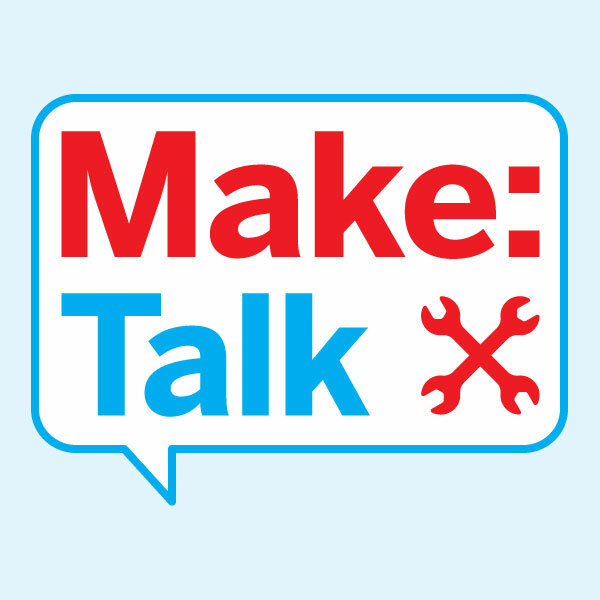 Here’s the first episode of MAKE’s new podcast, Make: Talk! In each episode, I’ll interview one of the makers from the pages of the magazine. We created Make: Talk because we wanted to find out about the people who write the how-to articles in MAKE. As you might guess, MAKE’s authors are often as interesting as the projects they build. In Make: Talk, you’ll find out why they make things, how they acquire skills, where they go for inspiration, and what’s on their workbenches. Our maker this week is Steve Hoefer of Grathio Labs. Steve’s uniquely appealing projects in MAKE include the Dizzy Robot, the Secret Knock Gumball Machine (above). He also wrote a how-to article in MAKE Volume 29 about a device called the Tacit that allows you to feel objects at a distance. Steve is one of my favorite makers, and in this interview, you’ll find out why. Hacked Gadgets is Alan Parekh’s excellent site (not, Adam, as I said in the interview).